Downtown McKinney is getting ready for Thanksgiving weekend. Of course, the most exciting aspect of this time of year is the anticipation of the holiday season. 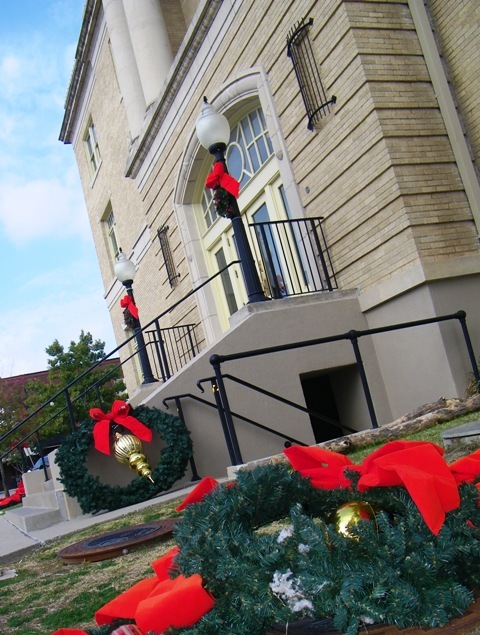 Whatever your religious affiliation and the holiday you celebrate during this season, McKinney activities run the gamut from shopping and ho-ho-happy fun to inspirational and traditionally-warm and inviting. Now in its 31st year, Dickens of a Christmas serves as the kick-off of the holiday season in McKinney (Friday-Sunday after Thanksgiving, 11/25-27). Featuring down-home fun that harkens back to the days of McKinney’s earliest settlers and beyond, this year’s festival will feature the return of the snow hill and “magic snow” as well as some new surprises. Santa will again be available for photos and for lap sitting and wish-list telling, and various musicians will share their Sounds of the Seasons talents all around the square..
City of McKinney Tree Lighting Ceremony (Friday, 11/25, 6:15 p.m.) featuring singer-songwriter Crystal Yates. The McKinney Repertory Theatre’s annual presentation of A Christmas Carol at the McKinney Performing Arts Center (Friday-Saturday at 2 p.m. and 5 p.m. and Sunday at 2 p.m. during Dickens, then the following weekend at 7:30 p.m. on Friday and Saturday, 12/2-3, and 2 p.m. on Sunday, 12/4). 6th Annual Believe! Run (1 mile, 5 and 10K), benefiting Holy Family School and presented by the McKinney Rotary Club, taking place at downtown’s Mitchell Park, on Saturday, 11/26. Kids can also participate in the Great Santa Chase before the race starts. Check out the Handmade McKinney Artist & Crafters’ Fair at the Historic Flour Mill (407 E. Louisiana, 11/25-27, 10 a.m.-6 p.m.) where you can shop for locally-made items and enjoy food prepared by McKinney caterers and bakers. Find vintage pieces and antiques at the Old Red Lumberyard (Louisiana/Throckmorton by the Flour Mill) on Friday and Saturday (11/25-26, 9 a.m.-5 p.m.). Lone Star Wine Cellars kicks off their Wine Scavenger Hunt as well as their Gift Drive (benefitting Community Lifeline Center) in downtown McKinney during Dickens and continuing until Dec. 2. For $19.95, participants receive tastes of 12 wines, a painted holiday glass for tasting, and two chances to win prizes: a case of wine – one each of The 12 Wines of Christmas (drawing on December 2) and the Grand Prize drawing, a gift basket full of merchandise from McKinney merchants (drawing on December 9). Players, or a designate, must be present for the drawings to win the prizes. 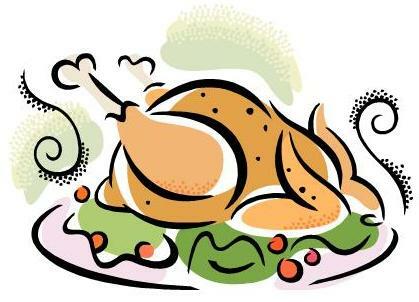 Don’t Want to Cook on Thanksgiving Day! Bill Smith’s Cafe, 1510 W. University: For the first time in their 50-plus years in McKinney, they’ll be open from 4 a.m.-3:30 p.m. to serve breakfast and Thanksgiving dinner. The Pub, 204 W. Virginia: Open from 7 p.m. to midnight. The kitchen closes at 11 p.m.
Denny’s, 1615 N. Central Expressway – Open 24 hours, including Thanksgiving. Regular full menu. IHOP, 1960 N. Central Expressway – Open 24 hours a day, including Thanksgiving. Regular full menu. Waffle House, 1432 N. Central Expressway – Open 24 hours a day, including Thanksgiving. Regular full menu. However you and your family and friends celebrate Thanksgiving and the kick-off of the holiday season, we at the McKinney CVB wish you and yours a happy, safe holiday full of warm memories, fun and plenty of turkey! Gobble-gobble!